Olive, aka Atascocita Olive, is an 8-year-old fawn female born on August 15, 2006. Olive's sire is the famous Dodgem By Design and her dam is Atascocita Sally. Olive has 75 races on record at Greyhound-data.com at Massachusetts and Florida tracks, starting in February 2008 and finishing up in May 2011. She retired to a farm as a brood due to a leg injury, but does not currently have any registered litters. Olive has passed an initial cat test and is living with cats in a foster home. 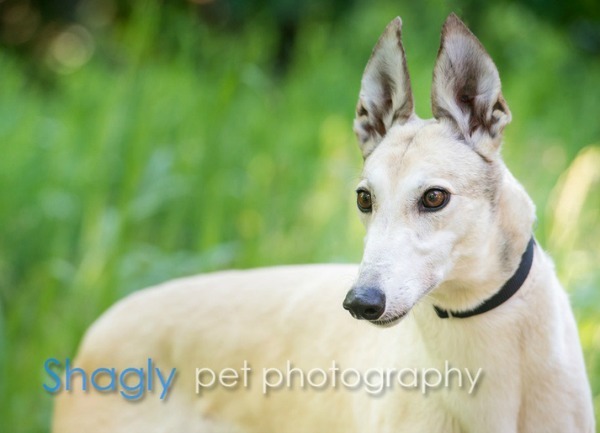 When Olive joined the GALT family, she was not putting much weight at all on her right rear leg. X-rays revealed a previous fracture and trauma to her third metatarsal joint on her right rear foot. After a successful treatment of blocking the nerve in this toe, it was determined that amputation of the toe was best for Olive. Surgery was performed by Dr. Bob Radasch of the Dallas Veterinary Surgical Center on September 3, 2014. Olive will be kept quiet in her foster home for the next 3-4 weeks to allow for healing. 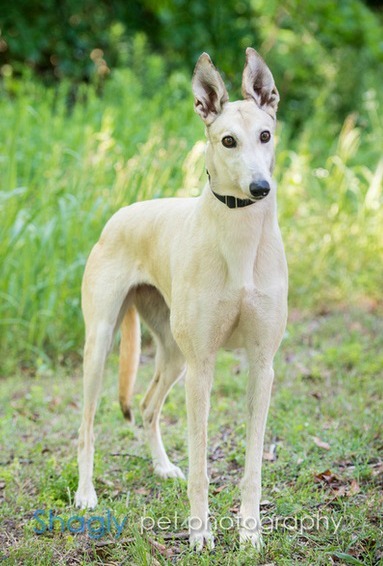 Olive is using her right rear leg more than ever in her foster home; however, as we see with so many greyhounds with previous old injuries, sometimes it takes awhile to get beyond the learned behavior of not using the leg for such a long time.